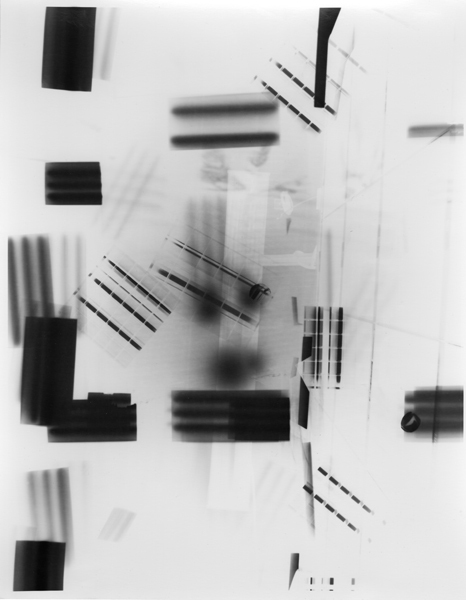 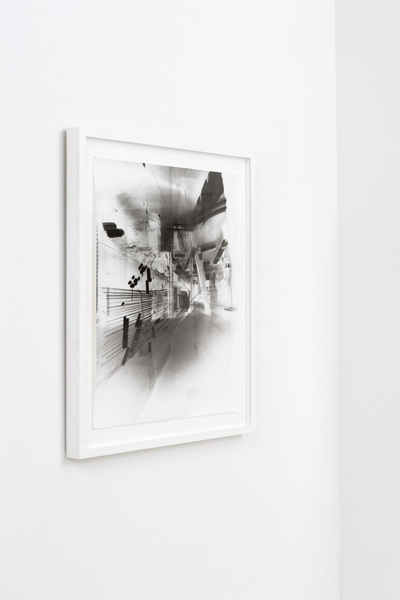 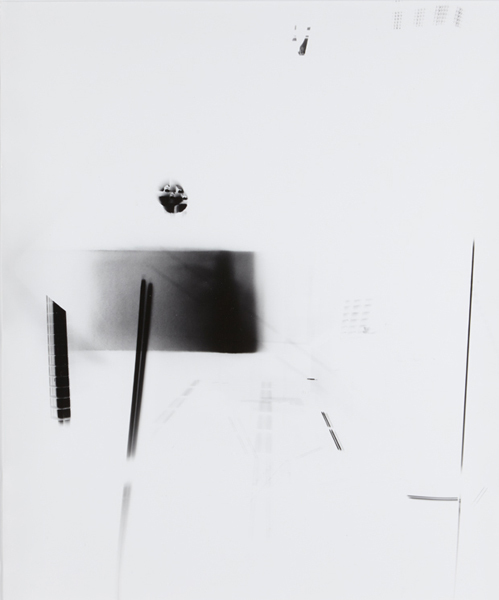 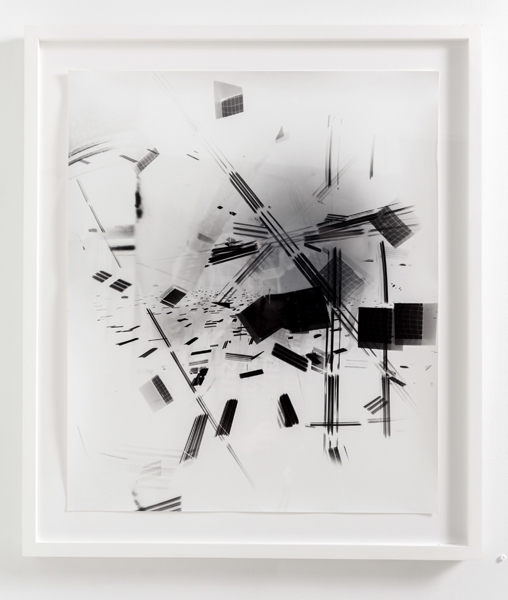 The release of all constraints against creativity is on full display in Monakhov Stockton’s simultaneous exhibition, selections from her ongoing project of unique pinhole camera images, Post-Photography. 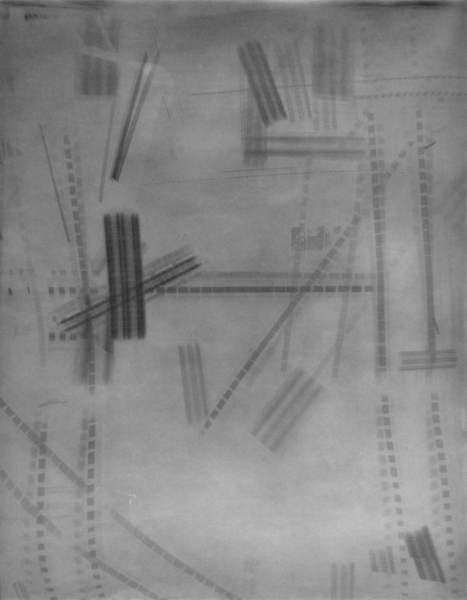 Perhaps it is a harkening back to the avant-garde spirit of her artistic ancestry from the Constructivism of the 1920s but Post-Photography bears all the markings of a salon-busting, anti-academic art practice, where all rules are discarded, resulting in a potent statement on the nature of photography, the documentary tradition and surveillance. 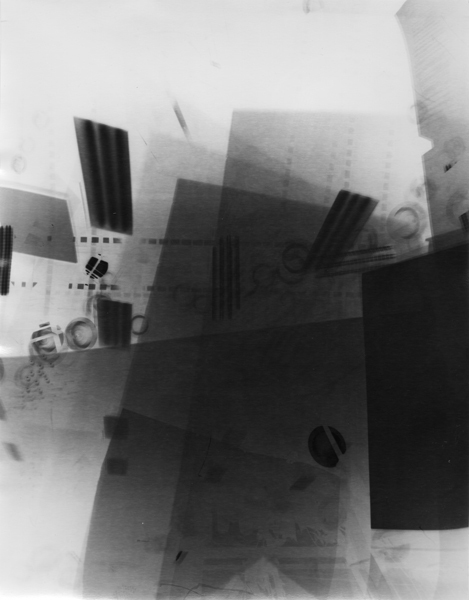 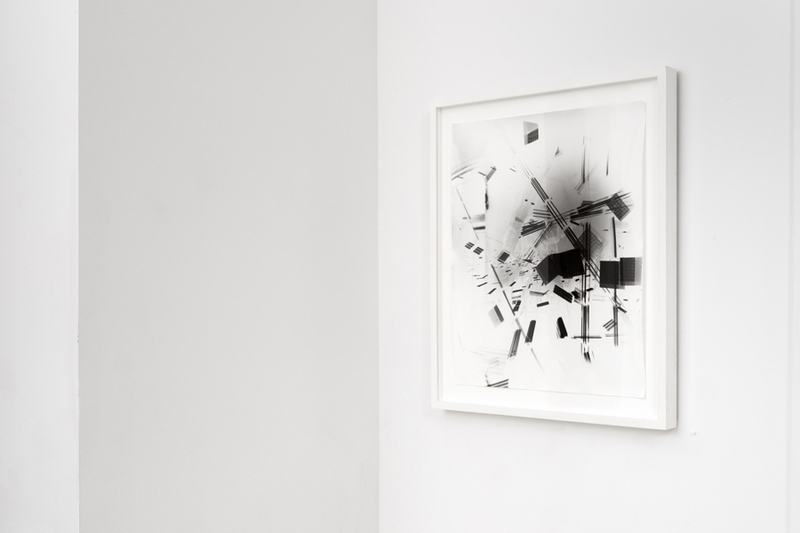 By converting photographic paper boxes - and in an ironic twist of high tech subversion, an iMac box for her larger works – into pinhole cameras, which she then mails to herself, she enlists the forces of entropy to author her images. 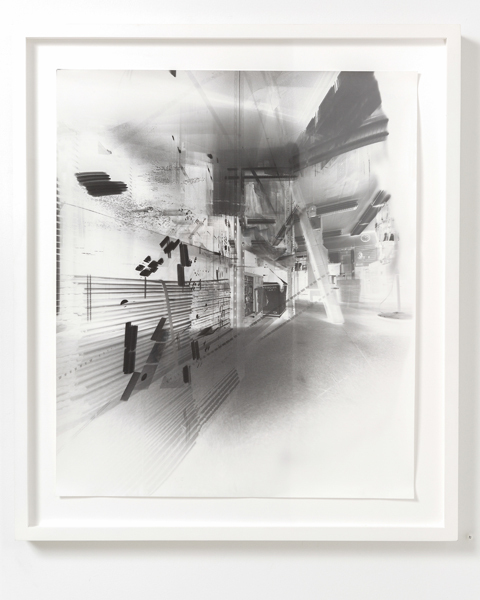 Post-Photography is devised to photographically trace the journey each sheet of paper goes through during its travels in the US Postal System, resulting in unique prints that reveal the skeletal outlines of institutional architecture. 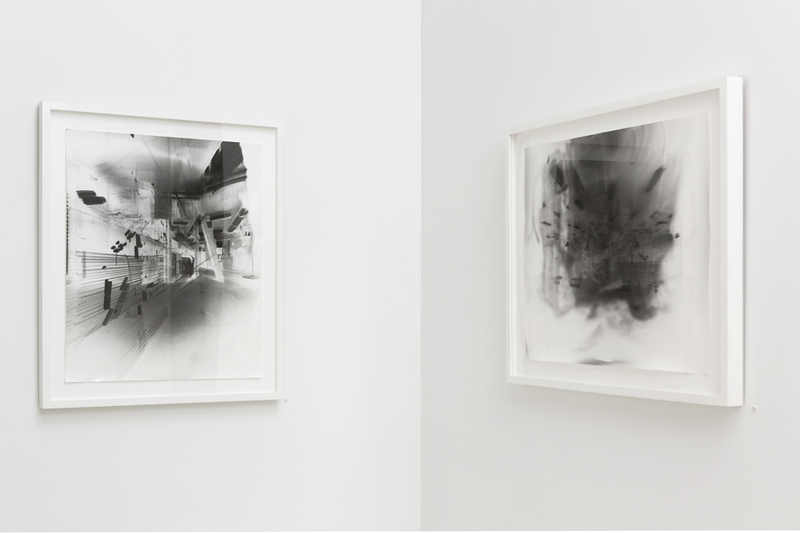 Her approach is simple, trusting the process of remote picture making, rather than imparting her vision directly on the images. 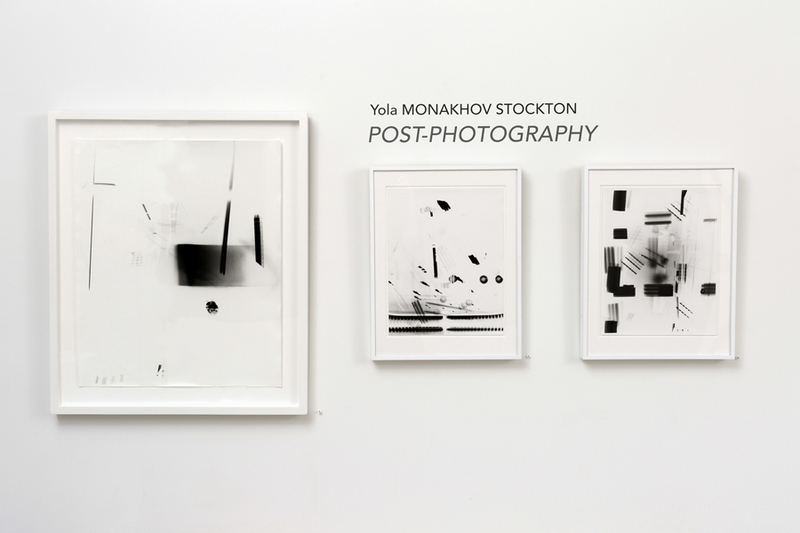 All Images © 2015, Yola Monakhov Stockton.